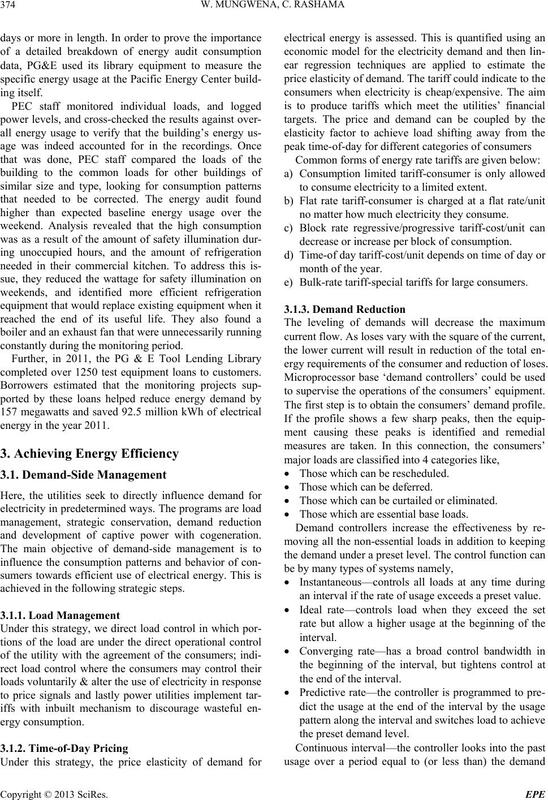 duction of energy conservation techniques to eliminate sub-standard equipment. consumpt i on by man . 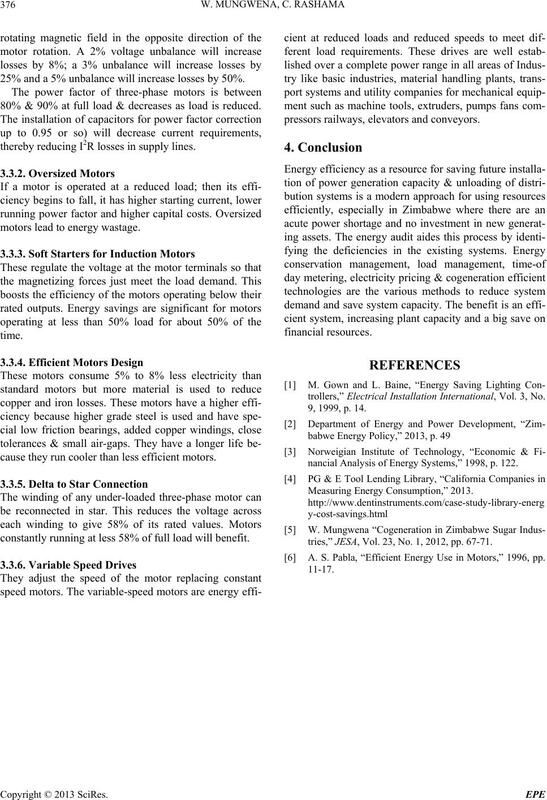 natural resources, e.g., solar energy for oil. as energy conservation requiring capital investment. velop more energy effective products.  Inadequate modernization of plant.  Continue d use of obsolete technol o gy .  High specific energy consumption.  Less efficient lighting systems. Table 1. Energy consumption by man. Table 2. Resource options for utilities. Table 3. Energy contents of materials. the energy required for new paper manufacture. industry -wise norms and dat abase. KVA, power factor and production throughput. constantly during the monitoring period. completed over 1250 test equipment loans to customers. energy in the year 2011.
and development of captive power with cogeneration. achieved in the following strategic steps. 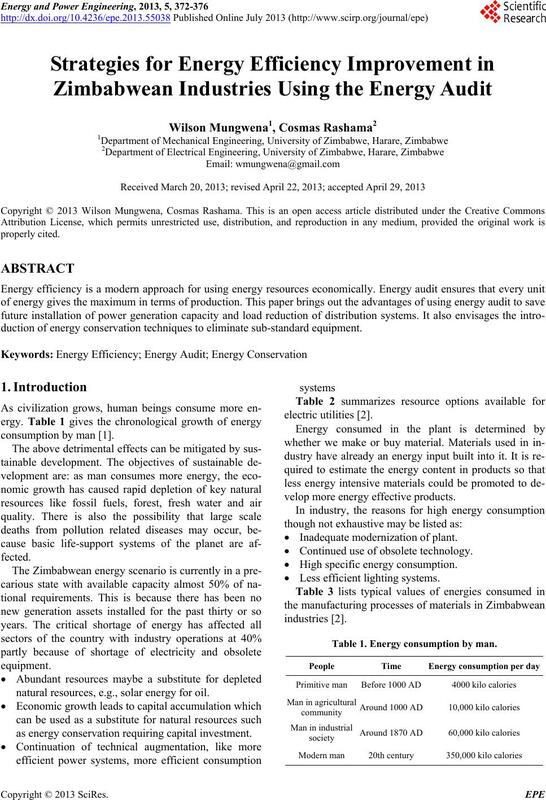 to consume electricity to a limited exten t.
no matter how much electricity they consume. decrease or increase per block of consumption. e) Bulk-rate tariff-special tariffs for large consumers. ergy requirements of the consumer and reduction of loses. to supervise the operations of the consumers’ equipment. The first step is to obtain the consumers’ demand profile.  Those which can be r es ch eduled.  Those which can be deferred.  Those which can be c ur tailed or el iminate d.
 Those which are essential base loads. an interval if the rate of usage exceeds a preset value. the end of the interval. lation of KWh that exceeds the preset value. switching each load should be evaluated. unused, redundant and idling equipment is shut off. figure below shows the fuel e ffecti veness. factor and immediate saving in connected load. be followed in terms of the following steps. existing wall switches and fir into standard wall boxes. of the room or area controlled by the individual unit. 25% and a 5% unbalance will increase losses by 50%. 80% & 90% at full load & decreases as load is reduced. thereby reducing I2R losses in supply lines. motors lead to energy wastage. cause they run cooler than less efficient motors. constantly running at less 58% of full load will benefit. pressors railways, elevators and conveyors. trollers,” Electrical Installation International, Vol. 3, No. 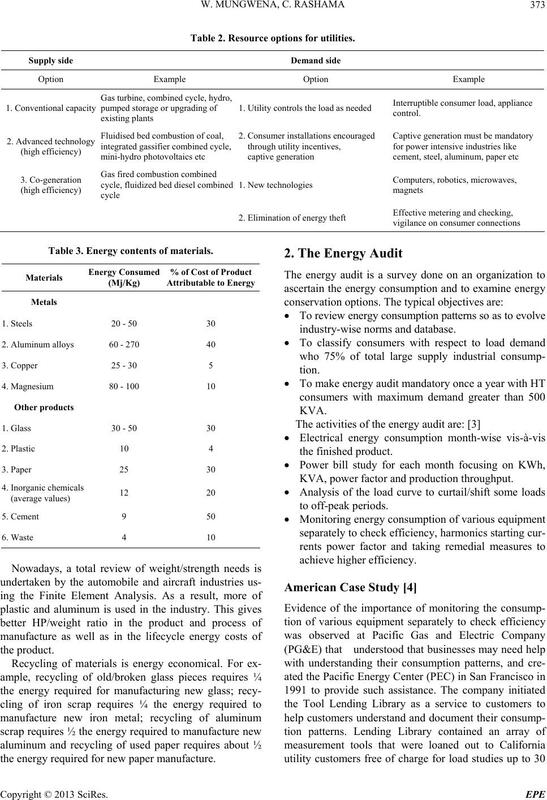 nancial Analysis of Energy Systems,” 1998, p. 122.
tries,” JESA, Vol. 23, No. 1, 2012, pp. 67-71. 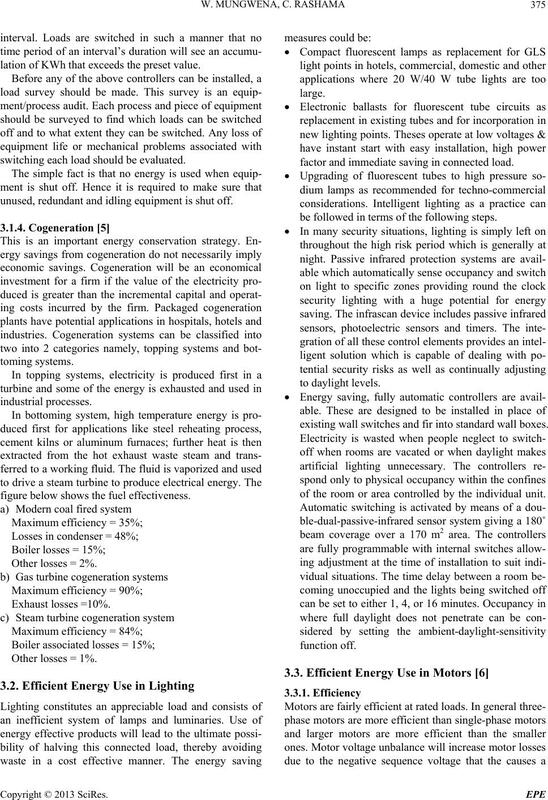 A. S. Pabla, “Efficient Energy Use in Motors,” 1996, pp.